As we are now assaulted by the European political machinery cranking into overdrive for the forthcoming elections, (haven’t seen any candidates yet!) I have tried to step outside the melee for the few interested voters, and look at a political mind-set that seems to have become increasingly contemptuous of the democratic process, and in particular the abuse of hard earned taxpayer money used to keep the whole EU edifice afloat, and every other political edifice for that matter. At its most basic Democracy is about Society authorising a minority to manage its needs, and then paying for them and those needs. This encompasses everything from Education, Healthcare, Safety (Fire & Police) to Roads Rules and Regulations. Over time however, the minority have pushed the concept of ‘managing’ to one side as increasingly they have sought to direct Society, and so democracy has gradually been eroded and abused by the unleashing of human fallibility to power. If we stick with the money, we can see this subtle shift from management to directing manifesting in a mind-set that now interprets the use of legally enforced taxpayer income as a right rather than a responsibility. In this unhealthy environment vast public funds are dispersed by a bureaucracy that can direct the money but is hopelessly incapable of monitoring its responsible application. Stories have abounded for years of grants for the construction of ‘sophisticated warehouses’ that turned out to be private homes costing 100’s of 0000’s of euros. Countless millions have gone to organised crime via dubious development projects and salvage and waste disposal contracts, plus many other types of financial abuse which, sadly, do not grow less but more with the passing of time. Whilst I accept that EU budgets are vast and therefore errors occur, what we have here is indicative of a contemptuous mind-set for the humble source of that money. This is shockingly obvious when it is reported that the official auditors have been unable to give a clean bill of health to the EU accounts now FOR 20 CONSECUTIVE YEARS. If this were a private company the directors would be barred from holding further directorship after only two or three years of this abuse, and rightly so, but those accountable for this abuse of taxpayers money calmly stand for re-election yet again! This lack of concern for how the money is managed can only ever be indicative of a bureaucratic ‘rice pudding’ that is now hopelessly out of control, as it seeks greater powers to override national governments in its addictive lust for limitless power. I accept again that there are calls for the return of powers to national governments but this does not address a mind-set that is impervious to its inability to control and manage the money entrusted to it for the benefit of Society. Here lies a fundamental abuse that undermines the credibility of the whole political structure as it eats away at the very foundations of Democracy. That it is not deemed important enough an issue that any of the current political candidates might choose to seek election, or re-election on, can only identify what little respect they have for the millions who have to financially support them. This in turn can only mean that this financial abuse is becoming a tradition and is therefore guaranteed to continue unchecked. Are the candidates supportive of this constant financial abuse of taxpayer money? If not, what plans do they have to address and resolve this flagrant contempt of their funding, and do they accept it is something that has been perpetrated over many years? If the answer to 2. is negative or unclear then do they feel we are being unreasonable in not voting for them? After all, if they cannot responsibly manage our money how can they responsibly manage immigration, or financial markets, or . . . wait a minute . . . is there some kind of theme emerging! This entry was posted in Transparent Democracy and tagged EU, EU Elections, Taxpayer abuse on April 30, 2014 by John Coombes. Change thinking and we change words. Change words and we change the world! 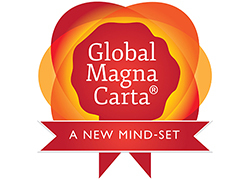 This entry was posted in Global Magna Carta and tagged Global Magna Carta, Surveillance on April 17, 2014 by James.